Austin Diaper Bank is dedicated to providing diapers to Central Texas families who need a clean, reliable supply of diapers for a healthy and comfortable quality of life. First Presbyterian Church provides volunteers to help sort, count and package diapers before they go out to Central Texans in need. Presbyterian Children’s Homes and Services provides Christ-centered care and support for struggling children and families to enable their recovery from abuse, abandonment, and other forms of neglect. First Presbyterian Church hosts a Christmas Party for staff and families involved in foster care, provides gifts through the Giving Tree, sends birthday cards to foster children, and also provides financial support to PCHAS. Ronald McDonald House focuses on keeping families close to the care their sick children need. In Austin, the Ronald McDonald House provides a place for families to stay while their child is undergoing treatment at the Dell Children’s Medical Center. First Presbyterian Church periodically prepares and serves dinner for families staying at the Ronald McDonald House. 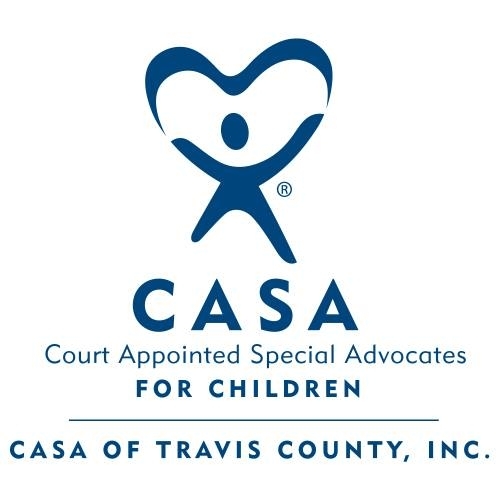 CASA of Travis County promotes and protects the best interests of children who have been abused or neglected by training volunteers to advocate for them in courts and in schools. CASA also works to find these children safe, permanent and loving homes. First Presbyterian Church provides financial support to CASA of Travis County. Drive A Senior enables older adults to live independently, avoid social isolation and age in place by providing free, volunteer-based transportation and other support services. First Presbyterian Church is a sponsoring congregation for Drive A Senior in our Austin area and provides financial support. National Alliance on Mental Illness (NAMI) is the nation’s largest grassroots mental health organization dedicated to building better lives for the millions of Americans affected by mental illness. The Youth of FPCA chose NAMI-Texas as the local recipient of the Pentecost Offering in May 2018. Planned Living Assistance Network (PLAN) of Central Texas offers an array of customized services designed to enhance the lives of individuals and families facing mental health challenges. First Presbyterian Church provides financial support to PLANCTX. Habitat for Humanity is focused on ending the cycle of poverty and the belief that everyone deserves a decent, affordable place to live. First Presbyterian Church provides financial support to Habitat for Humanity and periodically participates with other Texas Presbyterian churches to build a new home for a deserving family. Mobile Loaves & Fishes provides food and clothing, cultivates community, and promotes dignity to our homeless brothers and sisters in need. First Presbyterian Church provides truck volunteers to prepare & deliver meals to homeless in their communities. Community First! Village, a development of Mobile Loaves & Fishes, is a 27-acre master-planned community that provides affordable, permanent housing and a supportive community for the disabled, chronically homeless in Central Texas. First Presbyterian Church participates in service days to work on the grounds with the residents of the Village. Austin Crop Hunger Walk is an annual walk event raising money for local and global hunger-alleviating agencies. First Presbyterian Church organizes a group of participating walkers for this annual event. Let’s walk to end hunger, one step at a time! Manos de Cristo empowers low-income individuals with a loving hand of assistance to promote dignity and self-reliance. Manos de Cristo helps meet basic needs of food and clothing, education and dental care. First Presbyterian Church participates in their Back-to-School event providing backpacks, school supplies, clothing and books. Bring sugar, flour, oil, and non-perishable food items for the food pantry. We also collect diapers, baby formula, travel-sized toiletries, and new or gently used clothing. Drop items off at the Community Caring Closet and we will deliver them. Front Steps provides a pathway home for our neighbors experiencing homelessness by offering emergency shelter and affordable housing. Front Steps coordinates with local churches to open additional space to provide temporary overnight shelter on freezing nights. First Presbyterian Church participates in this program as a host church and provides volunteers on these freezing nights. Foundation for the Homeless mobilizes faith-based and community resources in a spirit of compassion to restore hope and alleviate homelessness. First Presbyterian Church provides financial support to Foundation for the Homeless. The mission of Austin Presbyterian Theological Seminary is to educate and equip individuals for the ordained Christian ministry and other forms of Christian service and leadership. FPCA welcomes seminary faculty as teachers and leaders for education and retreats. First Presbyterian Church provides financial support to Austin Presbyterian Theological Seminary. We also support seminary students as worship and programs interns, guest preachers and part-time staff as they prepare to for the ministry. John Knox Ranch located in Fischer, Texas, focuses on the growth of people, place and spirit. Under an open sky, things are much as they have always been, and the stage is set for unbounded possibility. 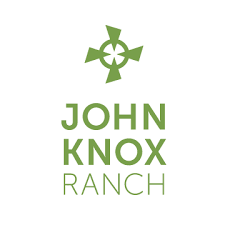 John Knox Ranch believes that time spent outdoors and away from city lights provides a unique setting in which children can recognize their truest and best selves. First Presbyterian Church provides financial support and work day efforts to John Knox Ranch and encourages FPCA children and youth to become campers and young leaders of this Mission Presbytery-owned camp. 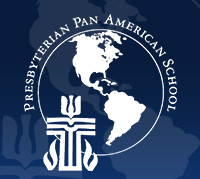 Presbyterian Pan American School is a Christian college preparatory school that educates and empowers young adults for leadership in the global community. Its mission is to prepare young people for lives of Christian leadership. First Presbyterian Church provides financial support to Presbyterian Pan American School.